Here at Optimized Surgeons, we regularly provide SEO site audits for prospective surgeons interested in pursuing an SEO program. We have created a systematic process in conducting SEO site audits for surgeons and related medical professionals. Below are three of the vital elements that define optimal SEO health (or lack there of.) Each of which is integral to the SEO audit process. Technical SEO centers on the nuts and bolts of a website and how efficiently search engine spiders can crawl and index the site. Aspects like proper linking, sitemap usage, HTML, and other technical components are what shape the SEO health of a site’s backend. 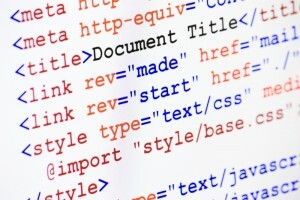 W3C Markup Validation Service checks the markup validity of a website, flagging broken links, HTML errors, and virtually any technical issues present on a site. Google Webmaster Tools enables our surgeon SEO team to easily pinpoint HTML errors, issues with crawling and indexing, duplicate content, inadequate or missing Meta data, and more. Screaming Frog is an advanced crawler tool that can provide a ton of data about a set of URLs, such as response code, rel=canonical tags, Meta data, and duplicate content. Google Analytics provides a wide range of insights that can hint at technical issues that can be hindering both SEO performance and conversion funneling. Web Page Speed Test enables us to compare the speed of your website against your competitors. Page load speed not only influences the usability of a site, but also is ranking factor for SEO. Technical SEO is the foundation to building a properly-optimized, high ranking website. For this reason, optimal technical SEO health is critical for sustainable results, and is thus a cornerstone to our SEO site audit process. While technical SEO centers on the backend of a site, contextual SEO address more on-page factors that surround the verbiage and use of keywords. This part of site audit process evaluates the sufficiency and use of keywords in specific areas of a webpage. On-page copy, including headers (H1’s – H3’s), paragraph text, and styling elements like strong tags, italics, etc. Although mostly systematic according to SEO best practices, contextual SEO is a bit more creative and subjective in nature. In essence, there’s often more ways than one to embrace on-page SEO and optimizing a site’s content. Because off-page SEO factors have the greatest weight in determining a site’s keyword rankings, these components are perhaps the most important when conducting SEO site audits. Backlinks (or external links directing to a surgeon’s website from other websites [i.e. Yelp profile or press release article]) are the primary focus. 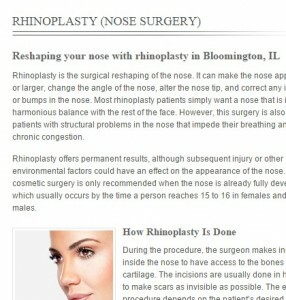 However, because most surgeon SEO programs focus on local SEO, the other key off-page factor is citations. Citations are the mention of a practice’s Name, Address, and Phone number on other web properties, such as surgeon’s Yellowpages listing or Facebook profile page. Backlink Sources – for surgeons, it’s best to have backlinks from mostly sites that are related to medical, surgery, health, wellness, and other topically-relevant sources. These backlinks will often have the greatest trust and overall value for SEO. Irrelevant backlinks (i.e. from a video game website or foreign fashion website) might be a red flag. If a Google Penguin recovery is not needed, we strive to generate links from only topically-relevant, authoritative, and trusted sources. 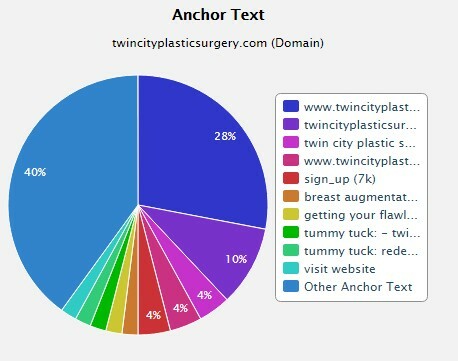 Additionally, if the option of custom anchor text is available, we use blend of optimized (uses keywords), semi-optimized (partial use of keywords), naked (“click here”), and natural (“www.SurgeonWebsite.com”) anchor text. This makes all SEO safe and effective. The goal behind citations if make sure that all mentions of the practice’s Name, Address, and Phone number are both accurate and consistent across all sources. So if the surgeon’s name is Plastic Surgery Center of Dallas on Google+, but John R. Doe MD – Plastic Surgery on Yelp, we have problem. Further, the slightest inconsistency in address or phone number, like 1234 Washington St. and 1234 Washington Street, Suite B, will need to be fixed. 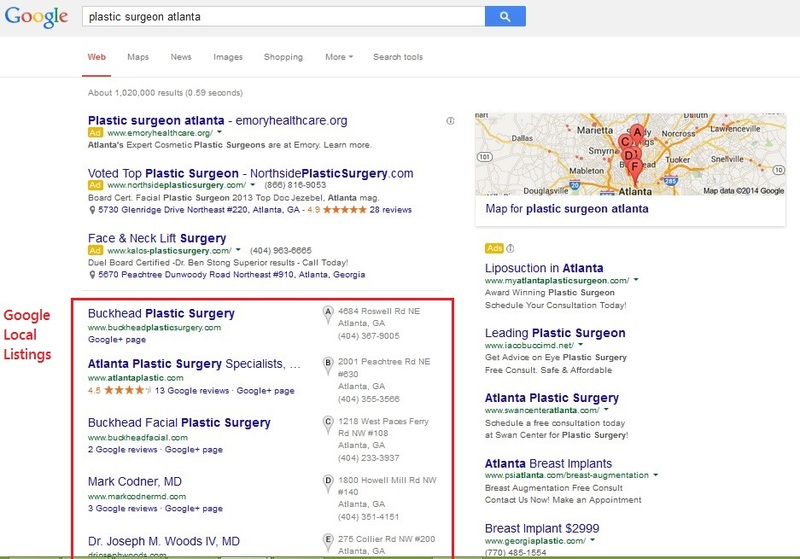 At Optimized Surgeons, we turn to the industry’s most trusted local SEO for citation auditing and clean-up: Yext. The beauty behind Yext is that it allows you to fully control your practice’s listing across 100+ global partners, including Yelp, Bing, Apple, Facebook, Yahoo, Superpage, and more. A Yext subscription is almost always included in the organic SEO programs that we offer surgeons and related medical professionals. This service will automatically clean-up all inaccuracies and inconsistencies with citation in less than a couple days. 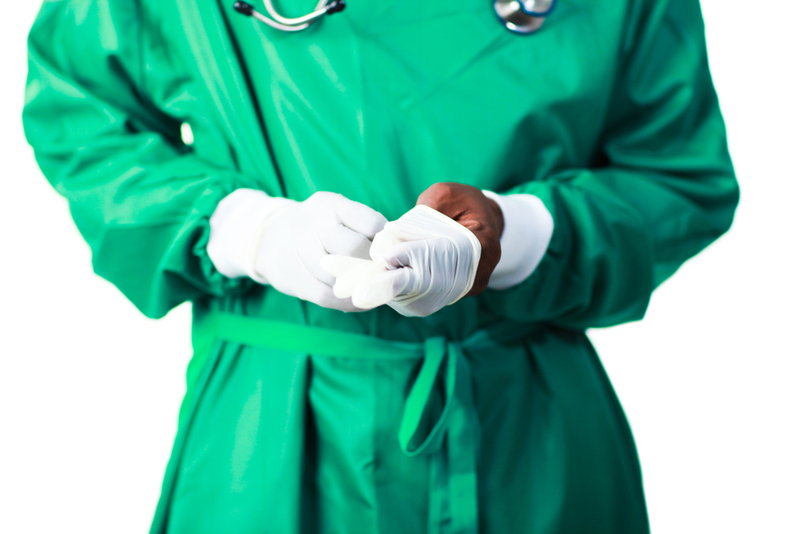 Are you interested in learning more about SEO site audits or our specialized SEO services for surgeons? Follow the contact us button below to inquire about your needs and interests. We are happy to provide free, no-obligation SEO site audits for surgeons interested in better optimizing their web presence for greater patient acquisition potential.